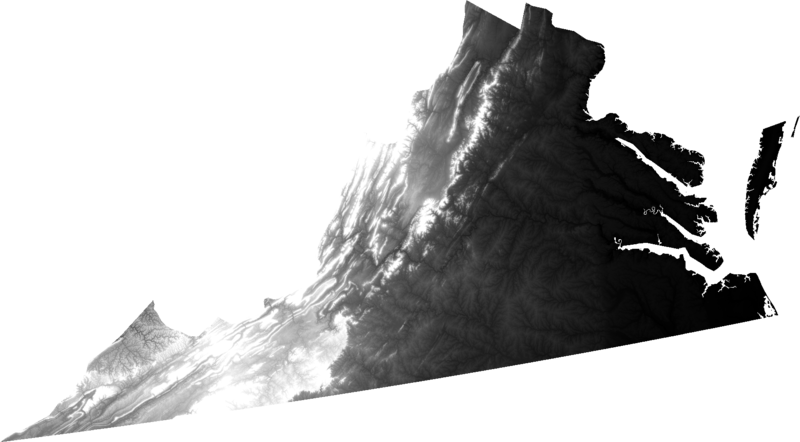 An open question from Josh Ajima about making 3D printable models of Virginia prompted me to consider the general problem of finding a suitable elevation dataset for a large region like a state. In this post I will explain how I made the image I posted in reply, using free tools and data. Posted on Tuesday, September 29th, 2015. Posted on Thursday, July 30th, 2015. 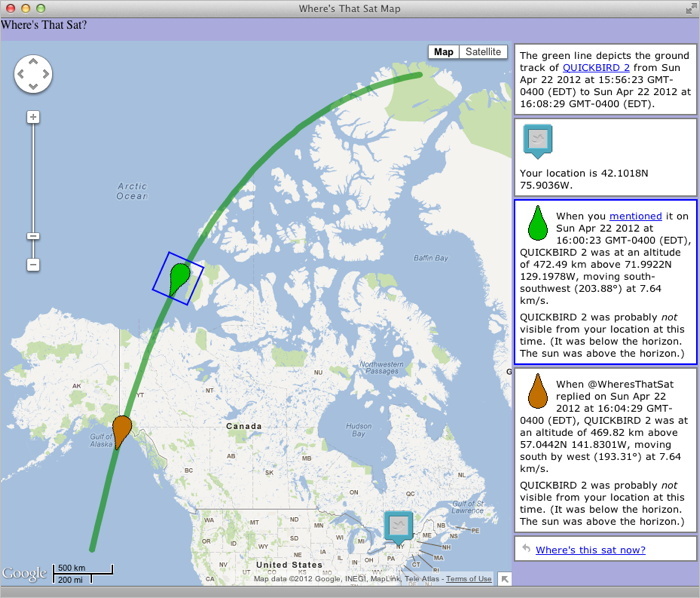 I’ve been playing around with ideas for a new satellite tracking web site. 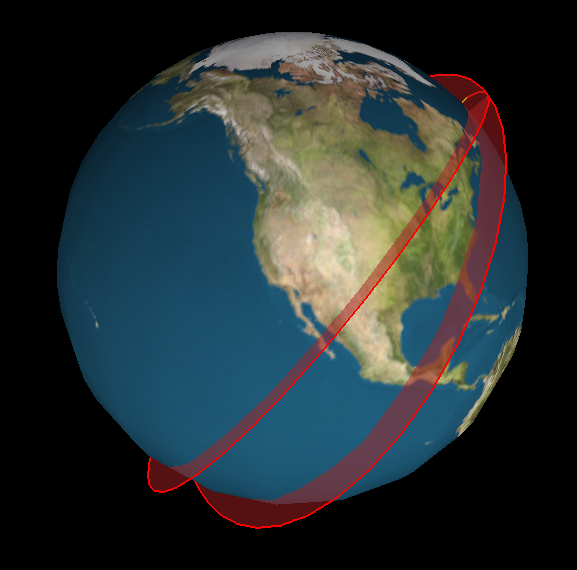 The main idea is to supplement a conventional 2D ground track map (like what I made for Where’s That Sat, or as often seen on the big screen at mission control) with a 3D view that displays the same orbits as paths swept out around the globe. I believe that seeing the actual shape of an orbit in space helps you to interpret the corresponding flat representation. So, there is even an eccentric pedagogic purpose to this project: it is an instructional aid for developing orbital map-reading ability. The code to generate this image is crude, but the results are already encouraging. GIS Stack Exchange is a question and answer site dedicated to helping people figure out GIS (geographic information systems) problems. It’s part of a larger Stack Exchange network of Q&A sites about various topics. I received some helpful replies in response to a query I posted earlier this year, and have found useful information there as a result of other searches, too. So, in an effort to “learn by teaching”, I’ve decided to try contributing answers on a regular basis (at least weekly). I’m not qualified to address most of the topics that come up, but there is a large backlog of unresolved questions to peruse, and I’ve already found a few of interest. Even if I can’t provide authoritative answers, I hope that providing pointers to relevant references might help people figure things out. One of my answers even got an upvote! So, yay. My geography degree was good for something. Posted on Tuesday, December 11th, 2012. My Twitter bot @WheresThatSat is up and running. More information about what it does is available at WheresThatSat.com. 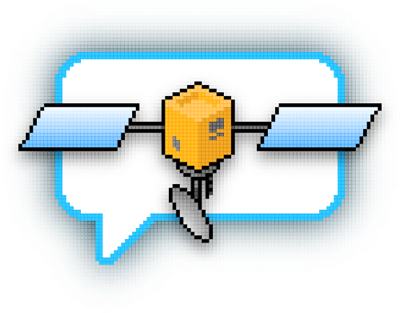 In short, it replies to comments about satellites with maps and information about the satellite’s recent course. Posted on Sunday, April 22nd, 2012. Posted on Tuesday, April 3rd, 2012. Posted on Saturday, March 31st, 2012. Here is a presentation I created a few years ago to accompany a little talk a gave to the lab group I was working with at the time. Members of the group had acquired some ad hoc GIS experience, but I felt they would benefit from a higher-level overview of common “geographic information systems” concepts and operations. The presentation touches briefly on a number of topics and includes a variety of example images (mostly uncredited, unfortunately; intended for educational purposes only). I have omitted the final slide, which was a segue into a discussion of specific projects within the group. I hope you will find the rest of the slideshow presented here useful. Posted on Thursday, February 23rd, 2012.